At its first GDC keynote ever, Google revealed the Stadia video game streaming platform. Google has been a constant at GDC for many years, but today is the beginning of a new age. For the first time, during GDC 2019, Google hosted a full keynote. Google CEO Sundar Pichai took the stage and spoke at length about the gaming community before announcing Google Stadia, the company's game streaming console. Google execs spoke at length about the Stadia giving players "instant" access to content, going so far as showing a quick jump into a game that took less than five seconds. 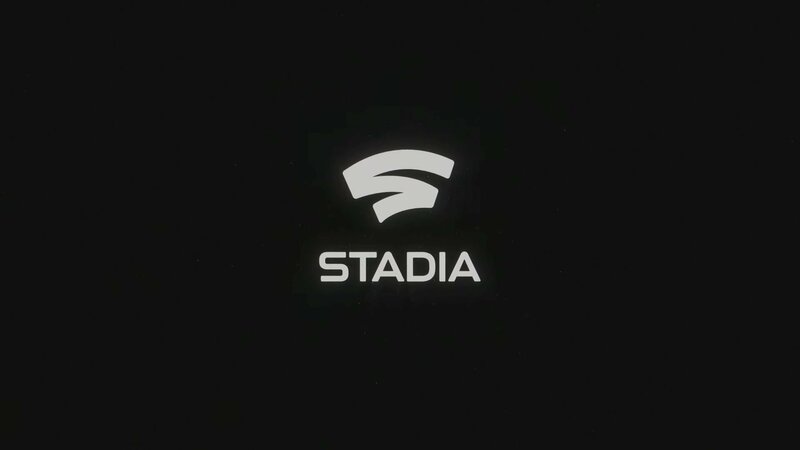 In the future, the Stadia will be able to function across desktops, laptops, and more. Assassin's Creed Odyssey was then shown running on a Chrome browser and then the staff member switched over to a phone with no loss of quality. Next, they showed the game off on the "least power" PC they could find, again with no loss of quality. The player switched over to a Pixel Slate tablet and, lastly, the team streamed the game to a television with a Chromecast Ultra. Google Stadia will be able to work with controllers that players already own, but Google did introduce its own gamepad. Am I crazy for thinking that Internet latency isn't at the point where these services will be successful? Don't worry, if it ever becomes a good service they'll cancel it. They already did it publicly in Project Stream, it works fine. It's noticeable upon close inspection, but not to the untrained eye. Not to say it won't work great once it launches wide but what I've heard about Project Stream doesn't convince me. Latency and bandwidth limits and restrictions. I'm curious to see how they're going to solve those problems. It is. Maybe for not all games but for most. I would flip that. Only a small (honestly, VERY small) subset of games require the kind of twitch latency you hear gamers complain about with streaming services like this. Mostly just online competitive shooters and a handful of super responsive games like DOOM etc. Everything else I think is totally fine with a bit of input lag, even if it's not "your preference." Just think about people who play shooters on controllers with no problem. And then think about how that's the VAST majority of people who play shooters lol. Even like 10 years ago I was using OnLive to play Just Cause 2 on my Android phone. It worked really, really well, and that game has a ton of complex actions/precise aiming required for sustained rope swings/shooting dudes etc. The only thing I'd be worried about with this stuff is image quality with the compression they'll have to use. I wouldn't even put online shooters in that category for most players, especially on a controller. There aren't any games that become unplayable to the average person on 200ms input lag. If you're of a mind to minimize your latency for a competitive edge, then yeah, this isn't the platform for you. Seems to me the problem isn't with bandwidth but congestion; too much wifi interference and all the channels are clogged. And don't tell me to just ethernet-wire everything. I'm not climbing into my crawlspace just to do that, and neither are people living in apartment complexes. I'm super confused by your response. I just get exhausted by Shackers telling me to Ethernet wire everything whenever this topic gets brought up. Yes, I know that's the superior way of doing things. I will eventually wire my house and get ethernet wall sockets installed and everything, but that is lowwwww on the list of home improvements I need to do. And that's not a real solution for most people that live in dense urban apartment situations since normal people don't want to run Ethernet cable along their baseboards or across the floor.